20″ x 16″ mixed media resin painting on canvas, framed. 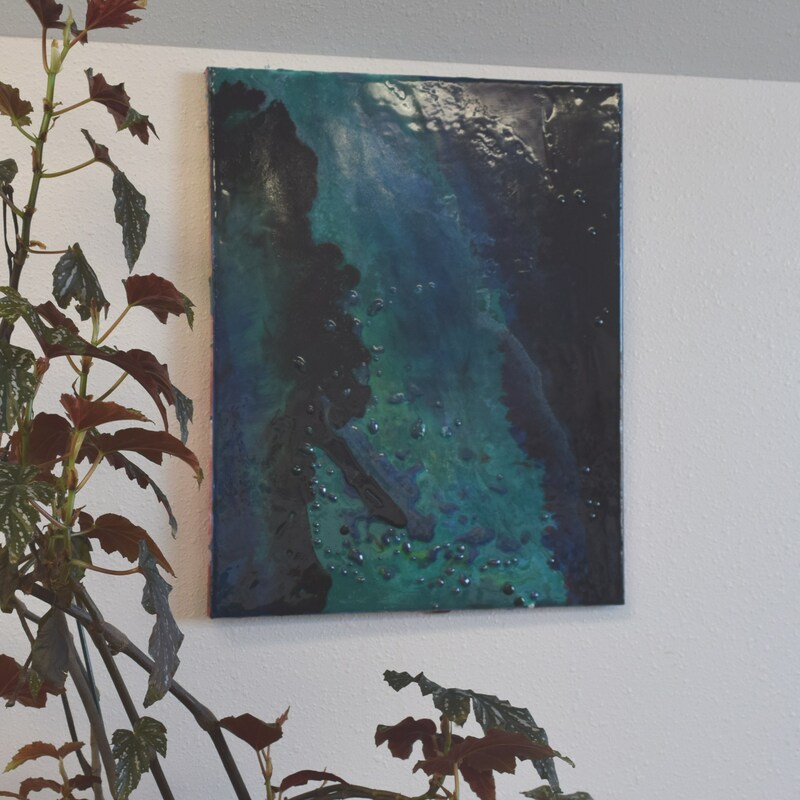 Gorgeous deep blue, teal and black painting with surface texture and layers of texture. Resin, ink and mixed media painting on stretched canvas.